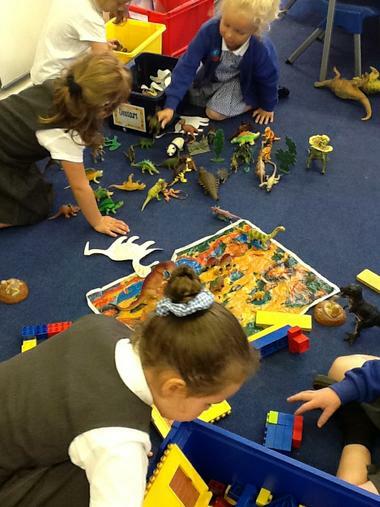 We have lots of dinosaur activities going on in the classroom. 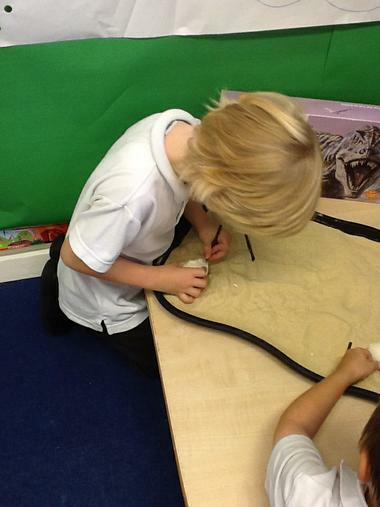 Check out some photos of the fun learning we have already been doing. 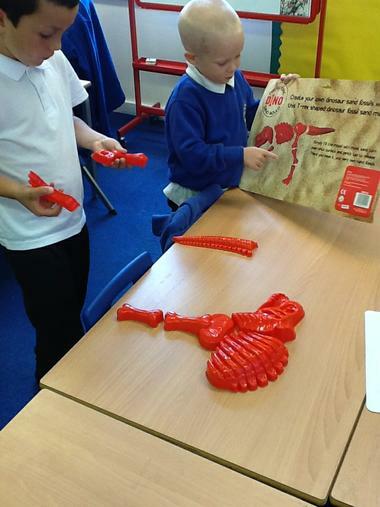 We have playdough mats to make dinosaur bones and eggs. 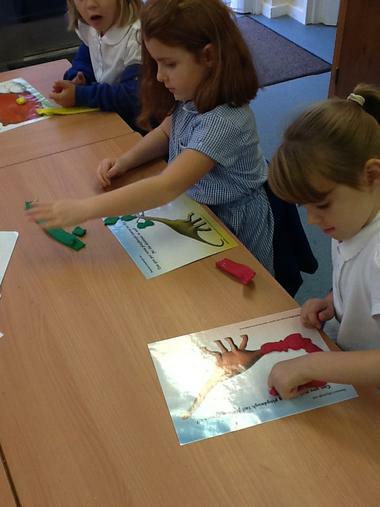 We can practise our rolling and shaping skills. 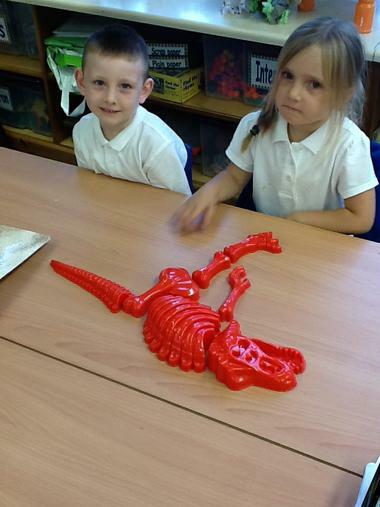 We have dinosaur skeletons and try to put the bodies back together properly. 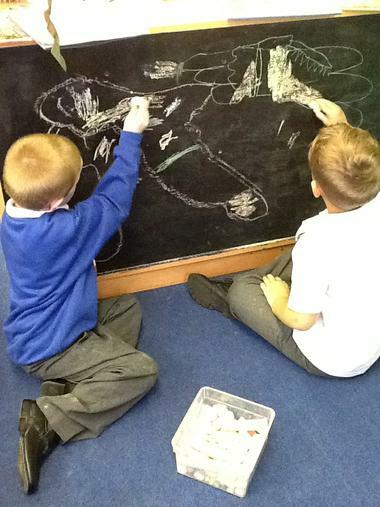 Sometimes we have to follow the instructions. 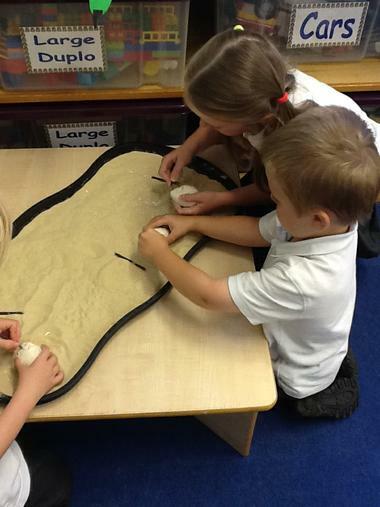 We are pretending to be paleontologists and carefully using the tools to get the fossil dinosaur out of the eggs. 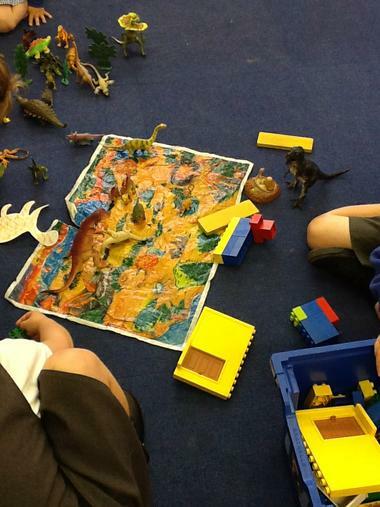 We are using the small world dinosaurs to create our own dinosaur worlds. 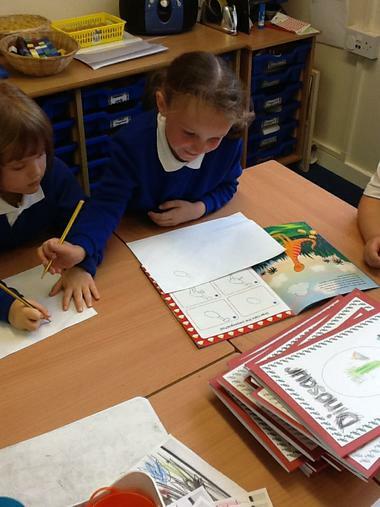 We have books that give us instructions to follow on how to draw a dinosaur.